Kimberly White/Getty ImagesJPMorgan Chase CEO Jamie Dimon. JPMorgan posted record foreign exchange trading volumes overnight following the UK’s historic decision to leave the European Union. The firm expects to do three times the normal daily volume on Friday. That’s according to a memo to staff from CEO Jamie Dimon. The pound plunged by over 11.0% to a low of 1.3239 against the dollar around 12:30 a.m. ET (5:30 a.m. BST) after Britain voted for a Brexit. The sterling has since recovered a little, and is currently down around 8% on the day as of 1:08 p.m. ET Friday. I want to thank our thousands of extraordinary employees across our businesses and functions who performed exceptionally well and worked around the clock in the wake of last night’s momentous Brexit decision. I am extremely proud to be your partner. You were there for our clients — rock solid and steadfast in meeting their needs, executing their transactions and providing liquidity. We remained totally open and accessible on e-trading channels overnight and processed 1,000 trading tickets per second at one point. Our systems and technology were resilient, pricing was consistent, and feedback from clients was very good. FX volumes were a record overnight, and we expect to do three times the normal daily volume today. Importantly, we worked with clients before the vote to address their concerns and to ensure we were prepared to handle their needs in any eventuality. Our Sales teams, major business lines, and corporate functions coordinated closely as market dynamics changed — serving our clients and protecting our company. 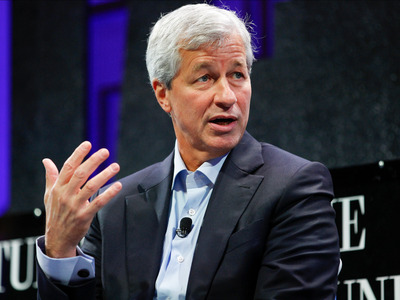 In dramatic times like these, the quality, scope, capabilities and character of JPMorgan Chase truly come into focus. We are here to be a source of strength for our clients, communities, governments and markets. Let’s keep up the great work. Thank you.